The Piano Partner 2 app for iOS and Android mobile devices provides a friendly, interactive way to help you learn and enjoy music with your Roland digital piano. Songs and DigiScore Lite show the piano’s internal music collection on your device’s display, while Rhythm and Flash Card allow you to build skills with intelligent accompaniment and engaging music exercises. 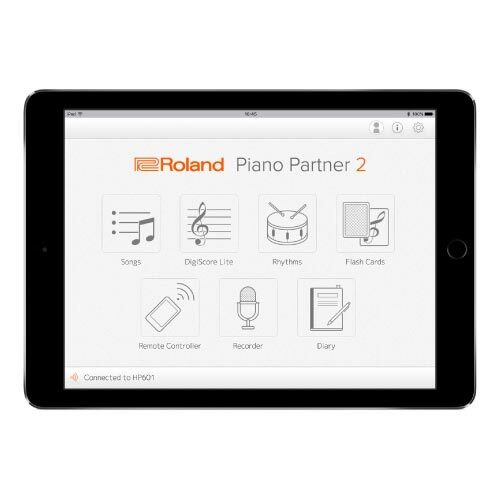 Piano Partner 2 also enables your mobile device to work as a remote controller for your Roland piano, offering an intuitive graphic interface for even easier operation. Recorder and Diary functions help you progress more quickly, allowing you to evaluate performances and keep track of your daily practice activities. The Diary logs stats about playing time, which keys you played, and more, and it’s even possible to share them with your family, friends, and teachers directly from the app. 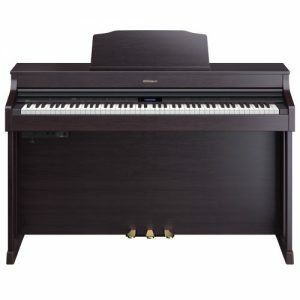 To use Piano Partner 2, connect your device and a compatible Roland piano wirelessly via Bluetooth®, or wired with a USB cable. Piano Partner 2 is available for free from the App Store or Google Play. 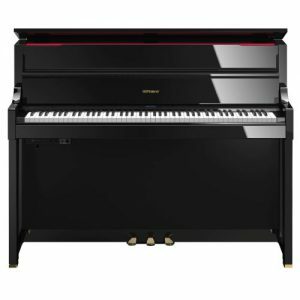 Piano Partner 2 Version 2.0 will be available on September 29, 2017. Compatible with iPhone, iPad, and Apple Watch, as well as Android devices. *Several functions available in the Remote Controller are not supported on the GO:PIANO. 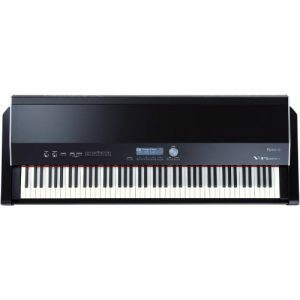 Most of Roland’s latest pianos feature more than 300 built-in songs, including popular classical pieces. The Songs tool in Piano Partner 2 enables you to access your piano’s entire library by category on your device’s display. You have full control of a selected song from the app, including start/stop, part muting, and metronome on/off, offering great convenience for daily practicing and listening. With an Apple Watch, you’re also able to access Play All and Shuffle functions remotely, making it easy to play continuous piano music while entertaining or relaxing. The app’s DigiScore Lite tool displays digital sheet music for the onboard songs, and pages even turn automatically as the song plays. You can practice each hand individually by muting the left-hand or right-hand part, freely adjust the tempo as needed, and repeat song sections to work on specific areas. 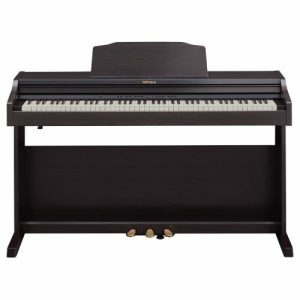 Piano Partner 2’s Rhythm function provides a fun way to develop your sense of timing and groove as you play along with various music styles like pop, jazz, blues, and others. The full band accompaniment automatically follows your chords, giving you the exciting experience of playing with an ensemble. It’s also possible to play the drum part only—perfect for when you want to improvise freely, work on song ideas, or focus more closely on your timing. 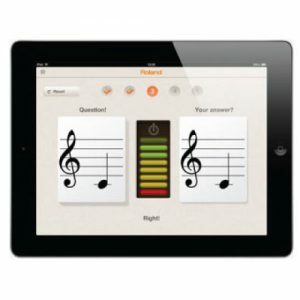 Flash Card is an interactive game for developing ear-training and music-reading skills. 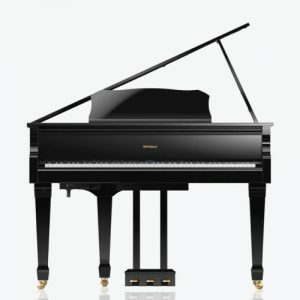 In each session, the player is challenged to play a note that’s shown in the app or sounded from the piano, with an award given after five challenges. Three levels of difficulty are available to suit players of all levels. 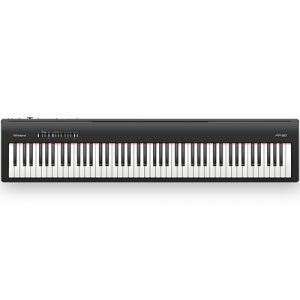 The handy Remote Controller tool allows you to access many different Roland piano functions directly from your mobile device. The app’s clear and concise display makes it convenient to select tones, adjust the keyboard mode, operate the extensive metronome functions, and more. Piano Partner 2’s Recorder is a valuable learning tool, allowing you to capture your playing and check your daily progress. And when you’ve really nailed a performance, you can simply listen back and appreciate a job well done. The app’s recording capability is particularly useful for pianos like the KF-10 and RP102, which don’t have recording functions built in. It’s important to review your daily practice activities to ensure that you’re working in the most efficient way, and the app’s Diary tool is ideal for accomplishing this. All of your daily performances are captured automatically and stored in an ongoing song list. 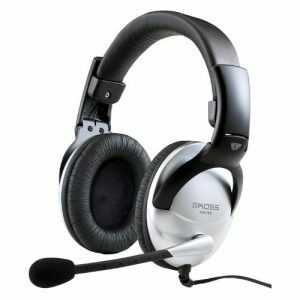 They’re available for listening and review anytime you like, and you can input comments as well. In addition, the Diary’s activity list continuously collects data from all the songs you play, providing statistics about which keys were used and the time and duration of your playing sessions. You can easily share stat summaries—including your comments—with family, friends, and your piano teachers through social media such as Twitter right from the app. And with the ability to create individual profiles, multiple users can track progress on a single device. 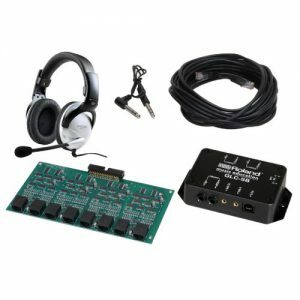 Compatible with iPhone 4S or later, iPad (3rd generation or later), iPad Air (1st generation or later), iPad mini (1st generation or later), iPad Pro, iPod touch (5th generation or later). Apple Watch (1st generation), Apple Watch Series 1, Apple Watch Series 2. Android 4.3 or later recommended. Android tablets (1280 x 768 resolution or higher), Bluetooth 4.0 or later (if connecting via Bluetooth). Note: We cannot guarantee full compatibility with all Android devices that meet the specification requirements. Bluetooth wireless or USB cable.